What's the best way to relieve sinus pressure? 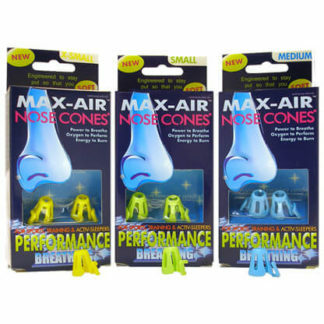 | Max-Air Nose Cones ® | Sinus Cones ® Official Site - ultimate breathing | snoring relief for the sleep of your dreams. Home / Breathe Well News / What’s the best way to relieve sinus pressure? Everyone deals with sinus pressure at some point in their lives, and no one likes it. To keep sinus cavities healthy, they must be constantly ventilated with free moving air. If air is restricted — no breathing airflow — mucus stagnates and the sinuses can become a breeding ground for harmful bacteria and viruses, and as a consequence sinus pressure to beat the band. Think of this like washing your face, except with nasal rinsing once daily is more than adequate. This a time honored and proven technique for nasal pressure relief and works by flushing out your nasal passages to relieve the daily buildup of allergens, irritants and air pollutants particulates. While funky and a little difficult to get used to, if used in conjunction with Sinus Cones it will make your nasal airways feel clean and clear and greatly increase the health of your sinus cavities. Aka unplug your ears using pressure. Dr. M. Lee Williams describes the maneuver in his book ‘The Sinusitis Help Book’. All you do is pinch your nose, swallow, and then blow into the nose without letting go. You should feel your ears pop. Don’t blow forcefully, gentle pressure is fine. on your body can swiftly ease facial pain, says Susan Padberg, M.D., a medical acupuncturist in Madison, Wisconsin. Firmly and gently press your index fingers above the center of each eyebrow or between them. Massage for 10 to 15 seconds and repeat as needed. This technique when used in tandem with Sinus Cones can be helpful. By opening up the nasal passages, these little breathing aids maximize nasal airflow to help heal, clear and drain sinuses better naturally. Steam can help moisturize and loosen nasal mucous and nasal congestion. Make your steam-therapy work even better, wear Sinus Cones in the shower and squeeze a couple of drops of lavender or peppermint oil in the water, tip your head down and exhale through your nose. 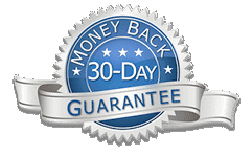 You’ll clear out your nasal passages and be surprised how much better you feel and how much more easily you’ll be able to breathe! That’s why products like Sinus Cones are so helpful. They help relieve sinus pressure by opening your nasal passages to maximize nasal airflow, AND if used at the first sign of congestion can help prevent sinus pressure by helping maintain airflow in your nose! Follow these 5 simple steps to relieve sinus pressure and feel better faster naturally. Give sinus pressure the kick! Previous post: Natural and drug-free nasal decongestion solutions that work!